You had a fun filled weekend partying with your friends, and when you come home on Saturday evening you realize one tooth is missing. Or maybe you just had an accident that left your mouth one tooth less. What next? For some people, a lost tooth can be ignored, especially when the gap is hidden deep inside your mouth where nobody will see it. Unfortunately, the option to ignore a missing tooth should be your very last one, long after exhausting all the other available options. Your teeth are an important feature in your body. Not only do they help you get nutrition into your body by breaking down food in way of chewing, they also help your face to be properly contoured. Ignoring a missing tooth can cause the surrounding teeth to drift towards the toothless gap, resulting in misalignment of your teeth. Listed below are options you should explore should you ever lose your teeth, with the assistance of your dentist of course. A dental implant in the simplest terms is an artificial tooth root. Most implants are made of titanium and they serve as a foundation onto which replacement teeth can be attached. In order for one to get a dental implant, it is necessary to have a healthy jawbone which will allow the attachment of this artificial root. The adjacent gums and teeth also need to be healthy. Your dentist will also advise you on which health conditions are a prerequisite for dental implantation. It is not all sugar and spice when it comes to implants, as you have to pay more and spend some time in minor surgery and more time healing it before a replacement crown can be attached. 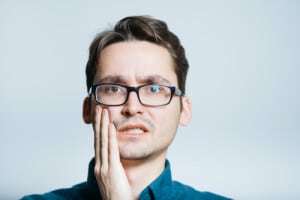 The fixed partial denture or fixed bridge is your other alternative should you lose a tooth. In this scenario, two teeth on either side of the gap are crowned and the crown is used to suppose the artificial tooth. The advantages of the fixed partial denture include the fact that they are less expensive than implants and take less time to fix and heal. This is perhaps the simplest replacement of a lost tooth available in the market today. It is simply an artificial tooth that is attached to plastic that mimics gum tissue. An RPD comes with metal clasps that allow it to attach to the teeth adjacent to the gap. While this may be the least expensive option, you also have a higher risk of gum disease and deterioration of the jawbone underneath.